Body armor has been devised for the commando forces that are to be dropped on Banshee-the culmination of ten thousand years of the armorers' craft. A trooper in this armor is a one-man, atomic powered battle fortress. But he will have to fight a nearly endless horde of berserk, hard-shelled monsters-the fighting arm of a species which uses biological technology to design perfect, mindless war minions. Felix is a scout in A-team Two. Highly competent, he is the sole survivor of mission after mission. Yet he is a man consumed by fear and hatred. And he is protected, not only by his custom-fitted body armor, but by an odd being which seems to live within him, a cold killing machine he calls "The Engine." This is Felix's story-a story of the horror, the courage, and the aftermath of combat, and the story, too, of how strength of spirit can be the greatest armor of all. 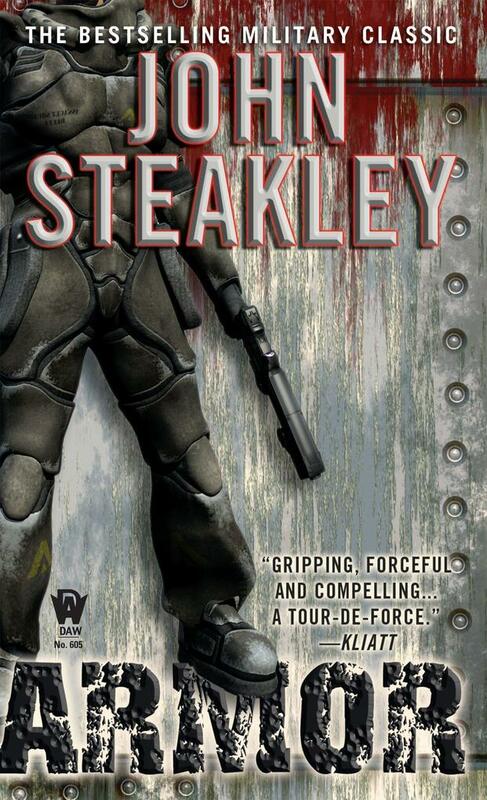 John Steakley is best known for his science fiction writing. He has published two novels, including his acclaimed military science fiction novel Armor, as well as four short science fiction and fantasy stories.